Host explains that she has been late uploading this episode because needed to do some editing, now doing once a month because she's doing another summer job. Actually she notes that she doesn't like the expression I don't have time: she considers that you make time for what you love. Noted. Mike’s love for adventure runs deep. His journey west for a college education turned out to also be an education in the mountains where he developed a passion for the outdoors. His post college days took him to Whitefish, Montana where he ski patrolled and began dabbling in trail running, for which he would later become well known. He then transitioned to ski patrolling at the late Moonlight Basin (now Big Sky Resort) where he retired from his ‘James Bond’ ski patrol career to pursue running full time. His focus on running has led to numerous top finishes in iconic ultra running races such as the Ultra Trail Du Mont Blanc & the Hard Rock 100, as well as a first place and a course record on the Big Horn 100. In 2015 Mike, along with teammates Mike Wolfe & Steven Gnam, ran 600 miles from Missoula, Montana to Banff, Alberta, Canada across a region known as the Crown of the Continent. 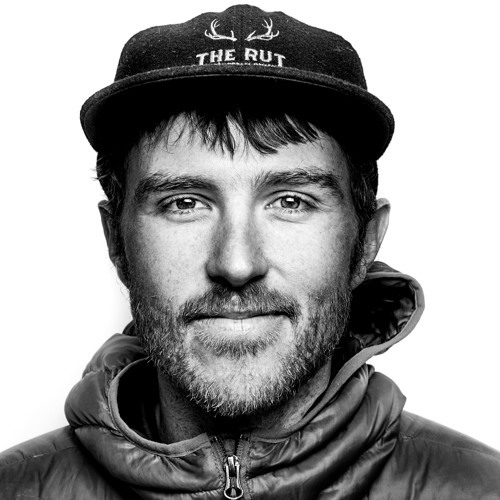 In the past few years Mike has re-shifted his running focus to skiing in the winter months, exploring the backcountry and becoming a leader in the new (to the US) sport of ski mountaineering racing. Mike’s accomplishments speak for themselves, but it’s his demeanor and thoughtfulness that really shine in this interview. Enjoy! Nice ambient, fun, relaxed, does not sound too competitive mindset. Even if high performance. UTMB winner? Did 600 miles between US and Canada, simply after meeting a photographer at a book signing. Good chemistry for a party of three. Low social tension after such a unplanned trip is highly valuable. Sponsored by NorthFace after big win: UTMB? Getting into the need of claiming public land attention. Looks up to the teddy roosevelt that create conditions for care. To the end they talk about the privilege that is being in the outdoors and not even having to pay a dime. They both argue that one could find reasons to make ultra/trail runners to pay at least a small donation. Host says that would happily pay 2 dollars for going to a park. Much more expensive is to do fishing or hunting. Every bullet is taxed and both previous activities require permit and red tape. I may disagree on this point. I believe that not all should be taxed or regulated: what would happen if this becomes a high level commodity and people can't afford it anymore? Runners all over the world begin the activity with the idea that you don't need almost anything else than shoes and the will to run. This could be the beginning of the end. Perhaps I am biased because Argentineans Sarmiento and Perón influenced what I take for granted: free education and strong syndicates that "take care" of humble workers (but in reality are forceful mobs who ignore there target population). Another influence is Martha Nussbaum, with a book titled Not for Profit, but I believe that she is more referring to education in USA. To finish prior thought: what would happen if, as outdoors, water became too expensive an item that we can't afford easily anymore? Which by the way is not an hypothesis for science fiction as much as a pressing problem that comes to the surface now and then.